Research Support: Since 2011, Dr Zhang has attracted 8 research grants (> 1.3 million) as chief investigator (lead CI and/or co-CI). 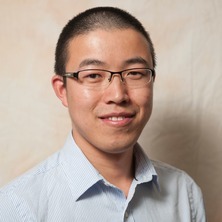 These grants include 2 Fellowship (ARC DECRA and MQRF to develop responsive probes for biomarkers detection within body), 1 NHMRC Project grant (New Investigator, Visualisation and Early Prediction of ROS-mediated Treatment Response in Liver Cancer by A Novel Nanoplatform, 2017-2019), 1 UQ ECR grant, 1 NSFC grant (China) and another 3 grants from DLUT and MQ. Research Output: Dr Zhang’s research focuses on the development of biosensors, responsive nanoprobes, and theranostic nanotechnologies to provide solutions for current challenges in the diagnosis and treatment of diseases. His research has been published in high impact journals, such as Nature Photonics, Journal of the American Chemical Society (JACS), Angewandte Chemie, ACS Nano, Advanced Science, Small, Biomaterials, and Analytical Chemistry. He has published approximate 80 research outputs since his first publication in 2010, including 1 patent. Service: Dr Zhang is currently a Guest Editor for Methods (Elsevier), Nanomaterials, Molecules, Materials, and Sensors. He is a referee for ~60 journals and ARC grant (FT, DECRA, DP, LIEF, and LP). design and synthesis of organic/organometallic complexes (including Ru(II) and Ir(III) complexes and lanthanide chelate) for sensing of bioactive ions, reactive oxygen species (ROS), reactive nitrogen species (RNS), redox biomolecules, gasotransmitters, amino acid, and proteins in various diseases, such as cancer, cardiovascular, and inflammatory diseases. fabrication of responsive Ln-doped nanomaterials for imaging of biomarkers located deeply inside the body. The probes allow the monitoring of specific disease-related biomarkers through optical, acoustic, and magnetic resonance spectroscopy. development of ultra-sensitive chemosensors for the detection of heavy metals, toxic anions and gases. development of novel luminescent probes with long emission lifetime to remove autofluorescence, allowing background-free sensing and bioimaging.